Great shopping. Good wifi quality. Close to public transport. 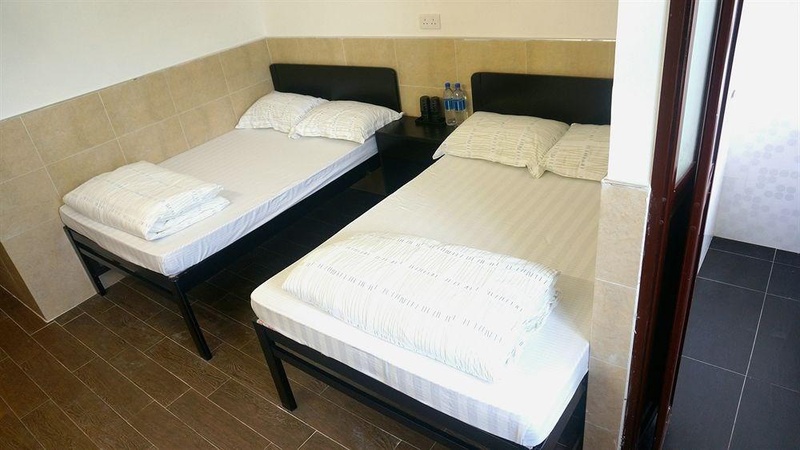 Ideally located in the prime touristic area of Mongkok, Kowloon Mongkok 2407 Guest House promises a relaxing and wonderful visit. Featuring a complete list of amenities, guests will find their stay at the property a comfortable one. Service-minded staff will welcome and guide you at the Kowloon Mongkok 2407 Guest House. Television LCD/plasma screen, internet access – wireless (complimentary), air conditioning, toiletries, shower can be found in selected guestrooms. The hotel offers various recreational opportunities. No matter what your reasons are for visiting Hong Kong, Kowloon Mongkok 2407 Guest House will make you feel instantly at home. Close to Mong Kok. Close to all shopping. Near mrt. Friendly staff. Friendly staff location. Great service. No heater in the room. Good mattress. Limited channels.